You guys, I am so darn stoked for this Saturday. I'm seeing Taylor Swift for the first time in ages! I had a ticket for the last tour, but I couldn't go because it was right after my tibial plateau fracture. There was no way I had it in me to get to the arena! So finally, I do have it in me. Well, sorta. I'm still anxious over all of the walking and stairs, but I'll just have to pace myself and push through it. Luckily, I'm going with a really supportive friend who understands. He bought the tickets for us and made sure to get me an aisle seat so I can stretch my leg out. What a guy! I'll probably share some pics and videos on my Instagram Stories that night, if you're into that kind of thing. I am not one of those people that live vlogs the entire concert, because I'd rather see it with my own two eyes instead of my screen. :) And for the bloody price of the tickets this time, you better believe I might even be limiting how many times I blink just so I can take it all in. Haha! L'Occitane Aqua Reotier Moisturizing Mist - I still have to review the Aqua Reotier line up. Sorry for the delay! This mist is a really nice addition to the line. It's such a fine mist! Bite Beauty Eclair Liquified Lipstick - Still a favorite after all of these months. Such an easy pink! Essence Metal Shock in Stars & Stories - Can't wait to share the swatches of these! Honestly, I was on the fence about liquid shadows but these are pretty darn good. Benefit They're Real! mascara - Always a winner. I couldn't pass up a free sample of this, because it's one I always go back to. 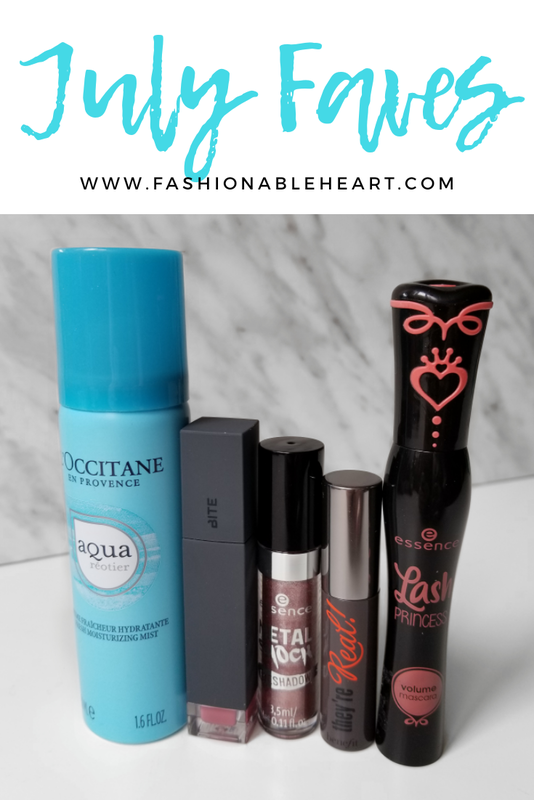 Essence Lash Princess mascara - One of the best drugstore mascaras I've tried since L'Oreal's Lash Paradise. I think both top my list for best drugstore formulas now. They're that good.